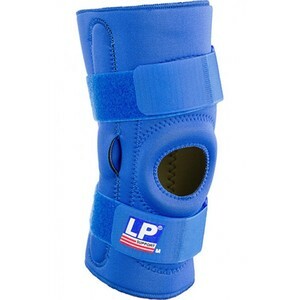 Provides additional support & stability for the medial lateral ligaments. Its 2 hook & loop starps allow adjustment for a better fit. The additional neoprene circle pad around the patella provides padded protection ans stabilisation to prevent patellar displacement.